1. Where did the idea for this book begin? One day while I was in a college class—humanities 101 I believe—the topic lost my interest. Instead, my walk through BYU campus, with the chilly fall weather and wind blowing crisp leaves around my feet, inspired a scenario in my head. It was about a girl walking through a forest and coming upon a river that brought back painful memories for her. I wrote about this girl grieving a loss, while wind blew around her and brushed leaves into the water. I didn’t know it at the time, but this scene would become the basis for chapter two of Lingering Echoes, and describe the prominent theme of grief, loss and healing. 2. Tell me a little about your desire to write. When did you know it was something you really wanted to do? 3. How long have you been working with this story line and the characters? Lingering Echoes began in its infancy during the fall of 2008 when the market crashed and I lost my job, due to the shutdown of the residential treatment center where I worked. With all that time on my hands, I began to write! The first draft wasn’t completed until fourteen months later, while I juggled a couple part-time jobs and pregnancy. I have been trying off and on to get this book published since 2010, so these characters have been in my life (mostly hanging around anxiously on the sidelines!) for a few years now. I’m so happy they finally get some game time in the publishing world! 4. Where do you write? An inspiring safe place? Since my toddler contributed to the destruction of my laptop over this past year (including using it as a trampoline any chance she gets), my writing space is limited to the computer and desk in my room. Before I had kids, I used to write outside occasionally, sometimes driving to serene nature locations for inspiration. Not so anymore! While my two kids nap, I shut myself in my room and utilize the limited quiet while I can. Purple. I’ve loved it for years, which is why my wedding colors eight years ago included various shades of purple, including lavender. 6. While writing this book, did you have a song that helped you write your main character? If so, what was that song? 7. What 1-2 surprises came up while writing this story? The love-triangle between three of the main characters was unexpected! I had a role in my head for one of the young adult males (do I dare say his name and spoil it??) that was supposed to be that of a protective older brother. However, as I discovered his character the more I wrote, and as Allie’s relationship with him developed, it almost became a natural transition. The conversations and time they spend together allows for that close bond. I have a huge heart for this character because he demonstrates support and tenderness throughout the book! 8. Briefly tell me a memory of you growing up, and how it helped define who you are today. I attended 10th – 12th grade at an international school in Bangkok, Thailand. As a member of the Church of Jesus Christ of Latter-Day-Saints, I was definitely a religious minority among my peers. Everyone knew who the Mormons were, though their understanding was often based on what we “couldn’t do.” i.e. smoke, drink, drugs, etc. There were less than a dozen Mormon youth in my high school, so everyone seemed to carefully watch us because we didn’t participate in some of the seemingly normal teen activities. Explaining that I chose to follow the “Mormon rules” because I believed in the standards we were taught helped define me and set me on the path that I’m currently on today. I didn’t follow the rules because I had to—I chose to put myself outside some of the rings of peer popularity because I understood my values, even though the experience was difficult at times. As a youth, making those small decisions and sacrifices to commit to my beliefs prepared me to continue living these principles as an adult—principles that I have leaned on during the most difficult challenges in my life. I most definitely would not be the same person had I chosen differently. 9. How have your experiences on growing up overseas translated into your writing? 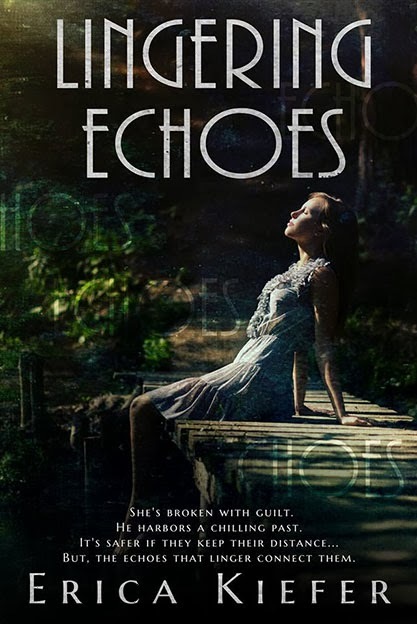 Lingering Echoes has a Stephenie Meyer Twilight edge crossed with Sarah Dressen’s fictional style, and there is plenty of character chemistry, suspense, and a sweet protective feel to push the pages along. Scene development. I love nature. I have been on many family vacations to campsites as a kid in my summers. Erica brought back some wonderful memories for me. I could see the cabins on Allie’s family vacation, the lake, the fun on the basketball courts and definitely, all the places in the woods she ventures with the boy she couldn’t seem to stay away from. Character chemistry. Every character has their own feel, quirks and ways to deal with life. They’re real. They relate back to Allie, the main character, and they help push her different sort of character arc as a traumatized girl who can’t live with her past, or give anyone else the chance to help her. Will she grow? You’ll have to read to find out. Voice. Voice means more than words. It’s a feel you get when you read and the story becomes more like an account of someone’s life, no matter the genre. 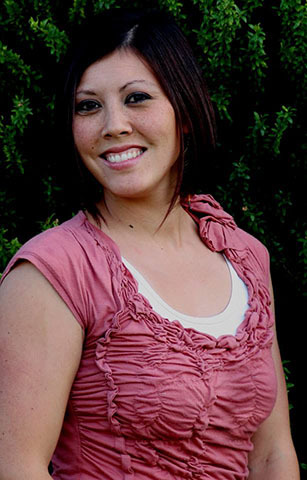 Author Erica Kiefer speaks to the reader in a storytelling fashion I like to read. Allie, the Main Character, jumps off the pages—alive. I noticed a few places when time and word choice didn’t read as clearly as I would have liked, but the characters won me over and left me wanting to turn the page. I loved each and every one of them. GRAND PRIZE: $15 Amazon Gift Card, bookmark prize pack, eBook of reader’s choice from Clean Teen Publishing catalog. Posted on November 19, 2013, in Uncategorized. Bookmark the permalink. 4 Comments. Erika, thank you so much for hosting Lingering Echoes! Your interview questions were some of my favorite and I enjoyed spending time thinking and writing about them. I also appreciate you taking the time to read my book and write a review!